Comment: 1500 sq foot attic space in 1975 ranch style home in downtown Orlando area (Dover Shores). Need all old "blown-in" insulation from previous job removed and install new "radiant barrier/reflective insulation". Looking for estimate and schedule of availability before June. Comment: There is a section of my garage in which I need insulation installed and the ceiling repaired. Approximately how many square feet is the attic? : Less than 500 sq. ft. Comment: Add batt insulation to attic above garage. Access is through pull down stairs in garage. Comment: I would like to get an estimate for insulation for attic. Quote for blown in and rolled in. Need opinion of which is better. 1950 sq ft of attic space. Comment: Looking for a contractor to spray insulate a cargo van. 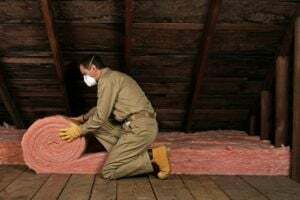 Comment: I would like to get an estimate for Good afternoon, My name is Angelica I am assisting my mother in finding the correct insulation company for he home. She prefers to have someone that speaks Spanish, however if not available i can serve as interpreter. This work is for an existing home, there's isolation but very minimal. its a 1 story home, and we are ready to hire. We are interested in a quote and time frame to complete the work. We would like the spray foam as we have research it would be the best for the climate in FL, however we are open to suggestions. Thank you. American Home Heating and Air, Inc.
Brevard Cooling & Heating Inc.
Orlando Insulation Contractors are rated 4.74 out of 5 based on 812 reviews of 23 pros. Not Looking for Insulation Contractors in Orlando, FL?